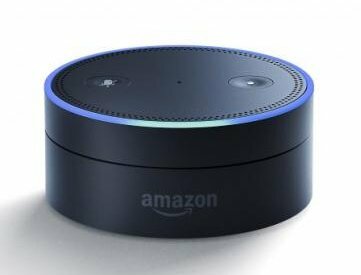 About a year ago, Amazon released a home speaker, named the Amazon Echo, which responds to the verbal commands from the owner. The speaker can play music, place orders, and search the Internet with these commands. In hopes that the sales of the Echo will continue to increase, Amazon is preparing the final steps to release their own music-streaming program. Amazon is already offering a free streaming service of a set catalog of songs to Amazing Prime subscribers. With this new service, customers who wish to subscribe would be charged $9.99 per month for the offerings. A price, which is common for potential rivals like Apple, Inc. This monthly subscription idea is also another attempt for Amazon to move away from annual subscriptions. This is a move towards allowing subscribers of Amazon deals to pay on a monthly basis and not once a year. Amazon is in the final stages of licensing with labels in order to allow songs to be played through the service. It is believed the service will be available between the end of summer and the end of fall. Specialists in the financial sector of music believe that this new service will not effect Spotify’s fanbase but may threaten other music-streaming industries. Hopefully this new music system will take Amazon’s ability to suggest items that customers might like to help discover new music a subscriber may like.